Mr. Simon Sahouri, is the President & Co-Founder of the "Jackson Family Foundation". Mr. Sahouri is actively involved with several plans to co-create multiple "Jackson World Resort Projects" that are currently in different stages of pre-development. 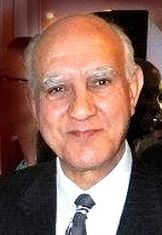 Mr. Sahouri's vision ranges from plans to ultimately deliver Jackson Theme Properties to Gary, Indiana, to Los Angeles, to Dubai, with a very strong interest in delivering a tourist destination to Akron, Ohio because of it's ideal strategic location between the Rock & Roll Hall of Fame Museum and the newly expanded "Pro Football Hall Fame Village & Museum". 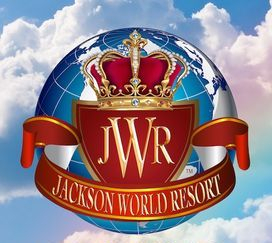 The "Jackson Family Foundation" is actively negotiating the franchising of the "Jackson World Resorts" smaller business models with strong interest for participation from several marquee cities in the Global marketplace. 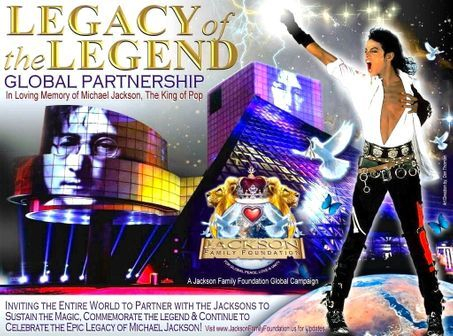 Those cities include "Jackson Legacy of the Legend Partners" in Los Angeles, Cannes, France, Barcelona, Spain, Orlando, Florida, Amsterdam, Brazil and Dubai among other interested Cities & Municipalities around the world. There are various Partnerships with the 50 year-old "Jackson Global Brand" available. Interested parties please email [email protected] for project inquiries. President of the Jackson Family Foundation, Simon Sahouri, is currently working with several intrested Creative Visionaries, Designers and Planners the World over such as the gifted Akron, Ohio Corporate Developer, Designer & Founder of Build Management, LLC, Donald E. Thornton. Simon Sahouri is actively creating and/or co-creating multiple plans and projects for development and is in detailed review of several "Jackson World Resorts" proposals, "Jackson Family Foundation Development Projects" along with proposed "Jackson World Peace Projects" coming from all over the World. Simon has authorized Donald E. Thornton to explore promissing deals to design and co-develop plans for a marquee International Tourist Destination to be established in the Akron/Cleveland, Ohio Regional Market. 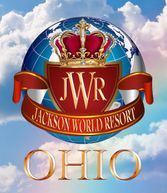 The proposed "Jackson World Resort Ohio" development is a large scale historic "Jackson Family Legacy Theme Project" that is under strong consideration with more additional plans to build out smaller franchised destinations around the world. Once again Akron, Ohio was approved as a destination because it is located just 40 miles South of thr Music Industry Mecca & Iconic Tourist Destination, the Rock & Roll Hall of Fame Museum and is only 25 miles North of the Pro Football Hall of Fame Museum located in Canton, Ohio. Simon Sahouri is currently in the Tier One 2018 - 2019 Planning Stages of development of multiple 5-Star Hotel Spas & Tourist Resorts Developments around the world including preliminary development of projects in Dubai of the United Arab Emirates along with plans to deliver a Jackson World Resorts Project to Akron, Ohio on behalf of his "Legacy of the Legend" vision. Mr. Sahouri has an interest in working with local Developers, Investors and City Officials on behalf of the prospect of delivering Jackson World Resort Franchises with the option to feature Jackson Family Theme Projects, Special Events, Festivals & Global Tourism to the Global Market. Mr. Sahouri is also in the midst of talks to deliver Jackson Family Theme Developments that will include quality hospitality venues such as marquee "5-Star Hotels, Upscale Housing Plans, Time Shares and "Jackson Legacy Estate Housing Projects". ﻿Mr. Sahouri's very exciting short and long term development initiatives include "Community Development Partnerships & Job Creation Plans" for Gary, Indiana, (birthplace of the famous Jackson Family), Los Angeles and South Africa, along with plans to expand upon his 7-year-long Annual Jackson Family Foundation Celebration, during their Annual Cannes Film Festival participation in Cannes, France. "Real Talk Real Deals", at: RealTalkRealDeals.com. 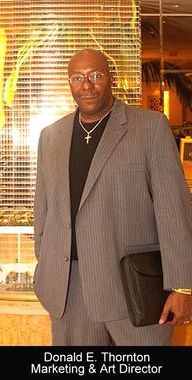 Donald E. Thornton was born and raised in Akron, Ohio and is an Internationally known Corporate Developer, Graphic Designer, Visual Artist, Webmaster and Business Consultant who is also the Founder, President and CEO of Build Management, LLC. Ever since the beloved "King of Pop", "Michael Jackson's" tragic passing, June 25, 2009, Don has been the Official Senior Marketing Director, along with being the Senior Art Director, Graphic Designer, Web Master and an Official Business Consultant for the Jackson Family Foundation. He is also a Graphic Designer & Writer for the Las Vegas Hollywood Magazine. Learn more about gifted designer Donald E. Thornton's amazing career and check out "Don's Official Portfolio" at: www.DonaldThornton.com. 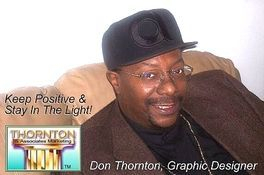 Donald E. Thornton is considered an Artist of exceptional Talent, Vision & Graphic Design Skills. "Click on Thumbnail" to Start Video. Official Jackson Family Foundation Cannes, France European Regional Marketing Director, Event Programmer and Internationally Known "Lifestyle Designer" Richard Nilsson has been working with JFF President, Simon Sahouri and with the support of, Donald E. Thornton to help grow the legendary Michael Jackson & Jackson Family Historic Brand Globally. Mr. Nilsson is Founder & Producer of an annual 5 Day Jackson Family Foundation Cannes, France Festival each year during the historic Annual Cannes Film Festival Week. Besides being a longstanding member of the Jackson Family Global Marketing Team, Mr. Nilsson also manages several International Travel & Tourism Resort Properties including several properties owned by famous Virgin Records founder, visionary and billionaire, Richard Branson.